First Coast YMCA announces new capital campaign - The Resident Community News Group, Inc. | The Resident Community News Group, Inc.
Growth is good. It’s particularly good in the local fitness and wellness industry. Within two years after opening, the Brooklyn-based Winston Family YMCA’s membership base exceeded growth expectations by five years. As the former Yates YMCA, the membership was one-third of the 15,000 currently enrolled at the Winston Y. 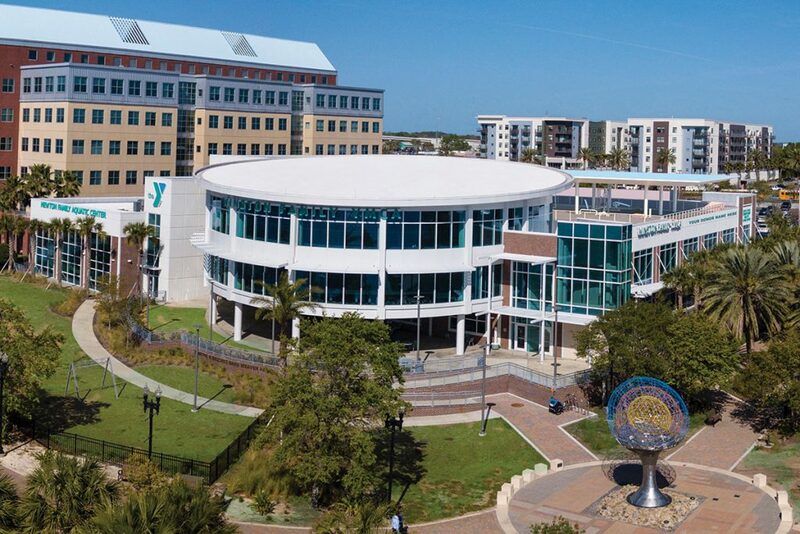 To address that growth, the YMCA of Florida’s First Coast is kicking off the silent phase of a $3-million fundraising campaign early this year to expand the Winston Y, its flagship facility. 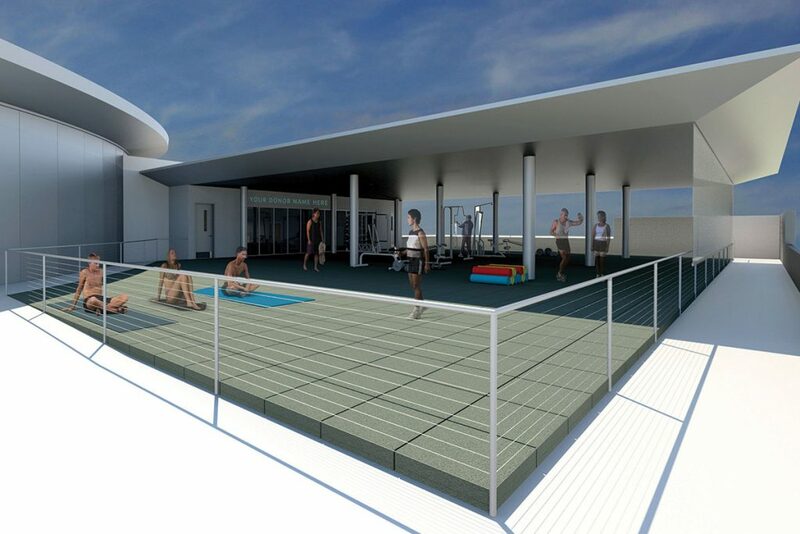 The capital campaign will fund an 8,000-square-foot third-floor rooftop wellness area – the first of its kind on the First Coast. The covered outdoor space will provide additional areas for functional training, yoga, meditation and more, while offering an unobstructed view of Jacksonville’s downtown skyline. The campaign will also fund an expansion of the Winston Y’s KidZone to serve the growing need for a safe space and enriching programs that nurture the development of children and teens, and will also provide a much-needed space to support the wellness and social activities of the growing community of active older adults. By the time the Winston Y’s fifth anniversary rolls around in 2021, Board Chair Ivan Gordon, of San Marco, hopes to have the expansion finished. “I got involved with the Winston Family Y because I truly believe it is the most diverse, inclusive, integrated and hopeful place in our entire city. The common decency and respect shown to everyone at the branch, no matter their age, race or socioeconomic status, is inspirational,” said Gordon, who is also leading the Winston expansion capital campaign. “I’m honored to be a part of the branch’s future growth, both in terms of the facility expansion and opportunities it creates to bring even more programs and services, to residents inside the building and out in the surrounding neighborhoods. Since opening in August 2016, the Winston Y has been drawing members and visitors from all over the county. Children are bused to the Winston Y to learn to swim. The capital campaign will enable the Winston Y to bring even more programs and services focused on youth development, healthy living and social responsibility to its neighbors across the First Coast. The growing pains of success include issues with parking because members come from all over the city – by car. Currently the Winston Y leases an adjacent lot which could be the site of future development in the rapidly growing Brooklyn area that is a short stroll from downtown. “The Winston Family YMCA is actively working on forward-thinking parking solutions to accommodate parking challenges,” said Tim Burrows, executive director of the Winston Family YMCA.